K.B. Da Kidnappa is a rapper from the northside of Houston, TX. He represents from the neighborhood of Trinity Garden. He's known for his high adrenaline flow and aggressive delivery. He is a member of Street Military and the infamous Killa Klan. This album was recorded in 2006 on Lock Jaw Entertainment. It was only released overseas when he was touring Australia. Production is all original and its provided by Joe. The beats are mostly synthetic and are composed mainly with the electronic keyboard. All rhymes and flows are strictly from the top of the head. 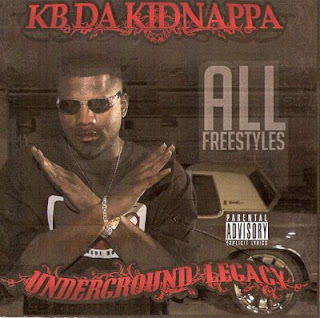 Dope freestyles are presented by K.B. and company. Featuring on the album is Rebirth, Enforcer and Grind Hog. Overall the record is incomparable to others on account of its all freestyle content. It is one that is a must have for any Street Military/Killa Klan fan. Kidnappa is currently working on his sophomore solo effort which is entitled, Black Mamba.